So another great season of Mad Men is in the books. This season has been an interesting ride, with some rather strange twists and turns, and some stuff that almost feels hallucinogenic – which, given the time frame (1968) is apropos. I’m not going to go into details too deeply here, and the spoilers will be light… however, I’ll put the rest under the cut just in case you want to remain spoiler free. But I think the questions raised in this season of Mad Men deserve some consideration and thought, so I’m doing that here. And how is that relevant to the theme of My Ideal Woman? Well, for starters, My Ideal Woman would watch great television like Mad Men and enjoy pondering the meaning, the issues raised, and engage in discussion about what they thought about the episodes. 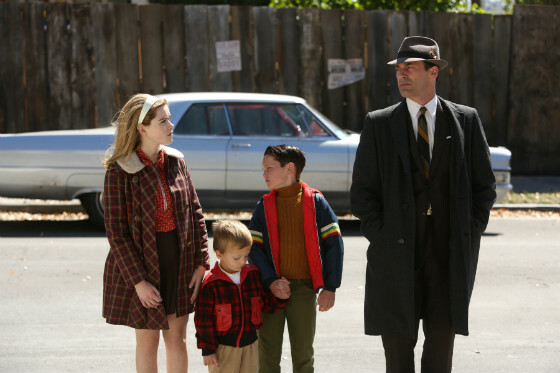 Also, I think this season of Mad Men in particular reflects on a flawed man trying to connect to people – especially his children – and while I’m certainly not nearly as fucked up as Don Draper, I can relate to some extent not only as a father trying to raise his children well but also as the son of a fucked up father.